You get the yellow infra red extreme racer with built in rechargeable battery that recharges in minutes and never needs replacing. The pistol grip multi-function controller features rapid charging station with 6 way directional steering wheel and speed trigger. This a yellow rc car, get one of the silver remote control cars for fun races. 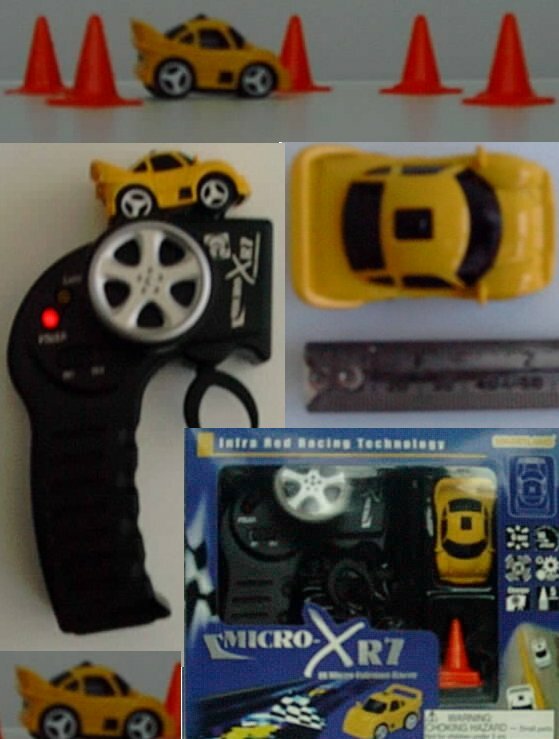 Micro XR7 Extreme Racer Yellow text, images and video are copyright.